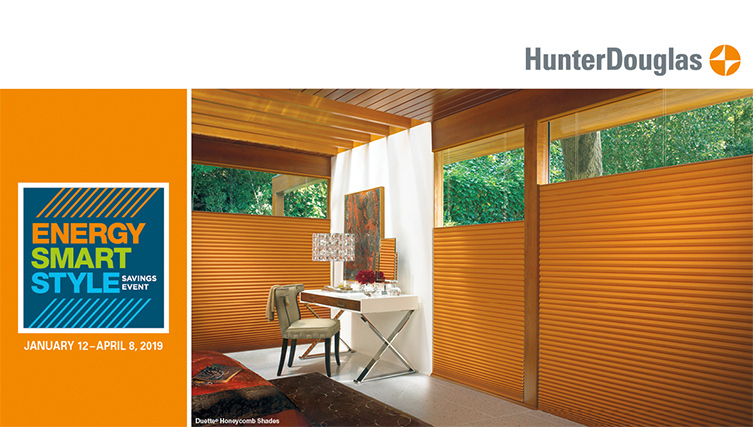 Hunter Douglas Shades are smart and beautiful, but better yet…they can help you lower your energy bills! Winter is here, and the Hunter Douglas Energy Smart Style Savings Event couldn’t come at a more perfect time. 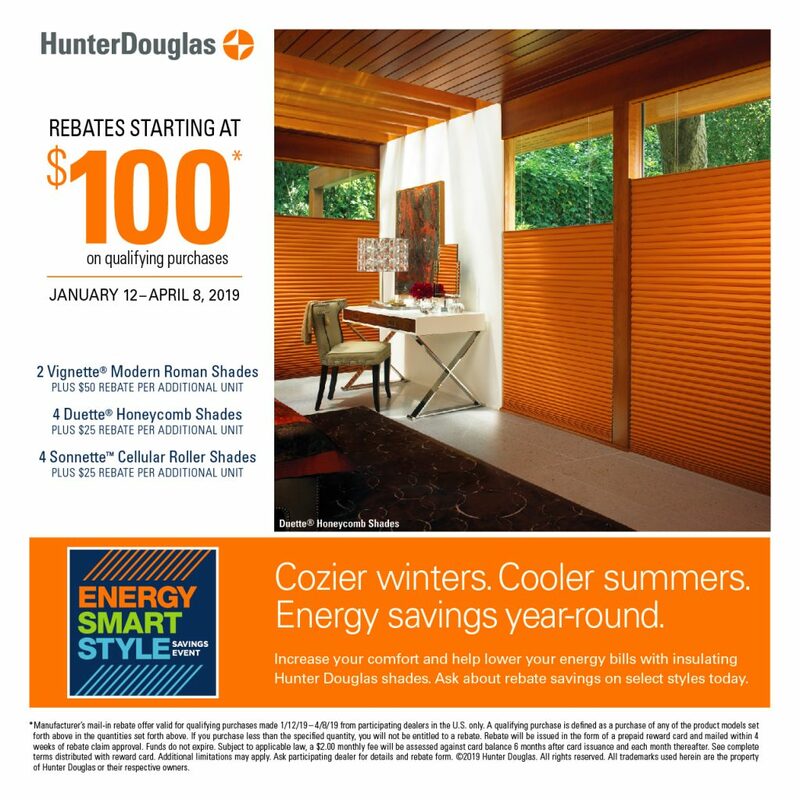 We’re excited to offer you valuable rebates starting at $100 now through April 8 on qualifying purchases of energy-efficient shades from Hunter Douglas, all designed to reduce energy loss and keep you comfortable all year long. Like Duette® Honeycomb Shades with the unique cellular construction that traps air at the window. And Vignette® Modern Roman Shades, featuring a wide range of luxurious fabrics. For the energy efficiency of a cellular shade with the clean look of a roller shade, Sonnette™ Cellular Roman Shades will help insulate your home in style. Contact us today to learn more about this fabulous offer.